http://scroll.in/article/821587/why-you-should-go-back-to-the-book-of-fantastic-beasts-where-to-find-them-before-the-movie Read it if only to be able to identify all the strange creatures in the film. When it comes to Potterhead Muggles, there are few things more exciting than being able to sample Butterbeer, organise Harry Potter book nights, and eagerly wait for a new film from the wizarding world of Harry Potter, even if it’s set in a time when the boy-who-lived was not even born. While we all wait to see the adventures of Newt Scamander, Order of Merlin Second Class, on the big screen, some of us have to comfort ourselves by revisiting his seminal book, Fantastic Beasts & Where to Find Them. Which is not to be confused with the book that is the screenplay of the movie. The textbook that taught Hermione Granger – perhaps even Harry Potter and Ron Weasely learnt a thing or two from it – has been written by JK Rowling and published in aid of Comic Relief UK, along with the library copy of Quidditch Through the Ages. 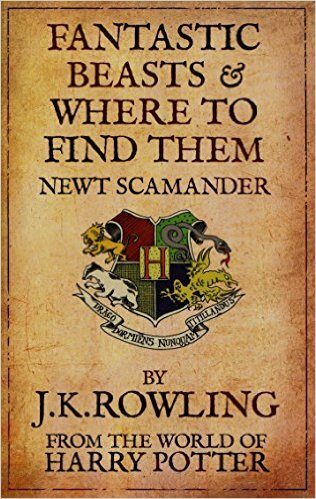 From the introduction, we know that the book is the result of many years of travel and research by Magizoologist Newton (“Newt”) Artemis Fido Scamander, some of which we can hope to see in the David Yates film. Scamander sounds a bit like Gerald Durrell when he describes his childhood – a “seven-year-old wizard who spent hours in his bedroom dismembering Horklumps” (a creature that resembles a fleshy mushroom and is covered in black bristles). Born in 1897, Scamander found his interest in fabulous beasts being encouraged by his mother who bred fancy Hippogriffs. He then went on to join the Department for the Regulation and Control of Magical Creatures at the Ministry of Magic, and is remembered for the creation of the Werewolf Register in 1947 and later, the Ban on Experimental Breeding in 1965. Most Potterheads across the world are probably brushing up on their knowledge of fantastic beasts right now – so that they can sit in the movie hall and scream, like insufferable know-it-alls, the names of species: “That’s a Chizpurfle” (small parasites with large fangs) or “Ooh, look a Grindylow” (a horned water demon), if these creatures make their appearance in the film. But what makes the Muggle copy immensely readable is not the fact that it’s an encyclopaedia of beasts, though Care of Magical Creatures Professors Hagrid, Kettleburn, and Grubbly-Plank would consider that meritorious enough. No, it’s because Fantastic Beasts is a duplicate of Harry Potter’s personal textbook and comes with “informative notes” in the margins. The book is shared by Ron, because “his fell apart” and Hermione chimes in from time to time. So while Scamander takes great pain in describing “what is a beast” in academic terms, the students explain it succinctly – “big hairy thing with too many legs”. When the Magizoologist embarks on the chapter “A Brief History of Muggle Awareness of Fantastic Beasts”, someone, presumably Ron, circles the word “brief” and annotates it with “you liar”. The clever design is reminiscent of our school textbooks, full of scribbles that had little to do with what the teacher was droning on about in class. In this slim edition, too, Rowling manages to slip in a message, this time about wildlife protection and conservation. Scamander writes about the importance of Magizoology and the need for the community and individuals to protect and conceal these magical beasts. The answer, he explains, is “to ensure that future generations of witches and wizards enjoy their strange beauty and powers as we have been privileged to do”. Even then, Dumbledore does attempt to reassure Muggle purchasers “that the amusing creatures described hereafter are fictional and cannot hurt you”. Weasley is rolling his eyes somewhere in the wizard world.